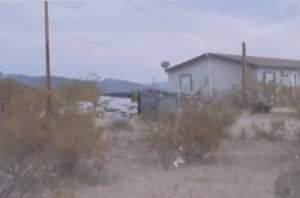 KINGMAN–What was set to be approved by the Mohave County Board of Supervisors Monday morning for a lifetime special use permit for a dog kennel in Golden Valley, ended in the scheduling of a public hearing after a neighbor of the kennel opposed the permit approval. The permit renewal was placed on the consent agenda and was up for approval, however, comments made during the call to the public changed that. The kennel is located east of Araby Drive in Golden Valley. 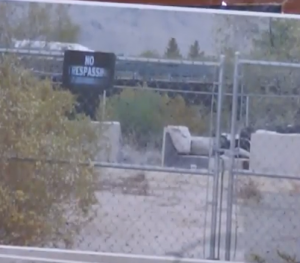 Hopkins told the board they needed to know what they were voting on and provided photos of the kennel, which depicted a large amount of debris and trash on the property. Hopkins urged the board to not approve the consent agenda without investigating the property further. District 4 Supervisor Jean Bishop called for the item to be pulled for discussion due to the opposition. Mohave County Attorney Ryan Esplin said because there was an opposition the item would have to go before a public hearing. In addition, the board was notified the agenda item was not correctly announced to the public the first time due to a missed deadline. The public hearing will be correctly announced to the public.The hearing has been scheduled for June 4, 2018 at 9:30 a.m. CORRECTION: The Bee incorrectly identified the dog kennel as For the Luv of Paws Sanctuary in Golden Valley. Their non-profit organization was also on the consent agenda (#11) for renewal of a special use permit, which was unanimously approved by the board.